Philadelphia Assembled uses foodways to share stories of survival, resistance, and victory. It’s midday at the Philadelphia Museum of Art, and visitors are starting to trickle into the cafe for lunch. But there’s not a pre-made sandwich, limp-leaf salad, or can of soda in sight. 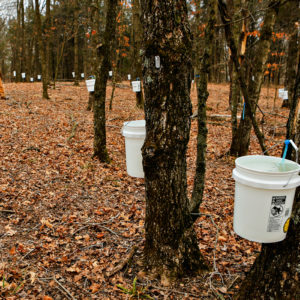 Instead, the air is filled with the warming aroma of potlikker. The cafe’s glass wall looks out into a courtyard, where tiny hot peppers, stalks of sorghum, and heirloom squash grow in raised planters. 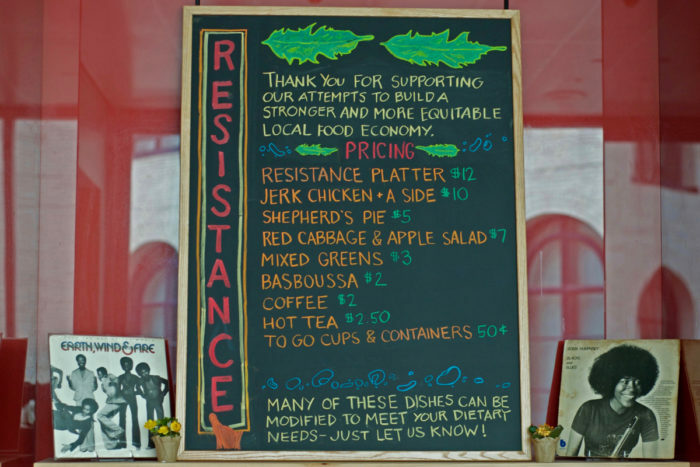 At the counter, customers order squares of honey-soaked semolina cake and platters of stewed greens and jerk chicken. 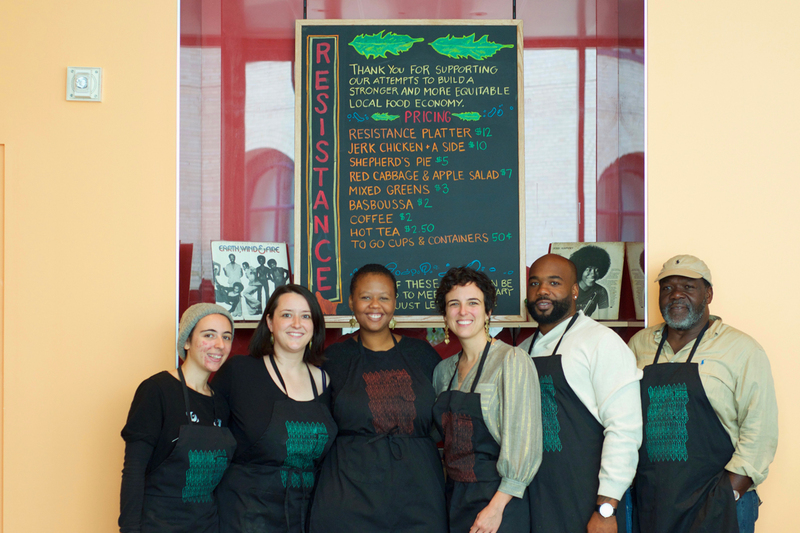 This is the Philadelphia Assembled Kitchen, where 12 culinary artists—home cooks, educators, entrepreneurs, organizers, and activists—are sharing their foodways and visions of survival, resistance, and victory. All this fall, the cafe and the building where it’s located have been occupied by Philadelphia Assembled, a sprawling, multi-year project initiated by Dutch artist Jeanne van Heeswijk. They’ve served lunch from the favorite dishes of their ancestors, families, and own kitchens, with the help of volunteers, six days a week since September. 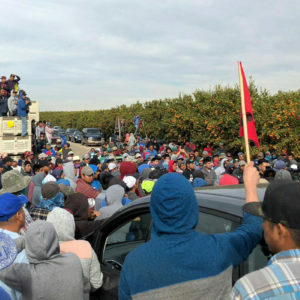 Fifty percent of tips have been donated to projects led by people of color: Our Mother’s Kitchens, the Black and Brown Worker’s Collective, and Soil Generation, an urban farmer network led by growers of color. The food is as much an extension of the team’s own identities as the altars, artifacts, stories, and photos are in the galleries. In 2013, the museum invited van Heeswijk to create a new project, with the intention of changing the relationship between the institution and the neighborhoods around it. She began by meeting with artists, activists, urban farmers, healers, neighbors, and other cultural change agents around the city. Van Heeswijk came back with a team of more than 150 collaborators whose visual works, artifacts, videos, plantings, and dishes are featured in the pay-what-you-can exhibit, which aims to bring about a collective imagining of the changing city’s present and future, themed around what she calls “atmospheres of democracy”—reconstruction, sovereignty, sanctuary, futures, and movement. The artists realized quickly that Philadelphia Assembled wouldn’t be complete without replacing the museum café’s corporate catering with foods that spoke to the project’s objectives. Enter co-curators Pascale Boucicaut, Jamaican-born chef and culinary artist, and Kristin Schwab, a community educator, cook, and organizer. They brought together a group of cooks whose dishes, stories, and identities would flow through the project. Boucicaut didn’t have to look far for inspiration. On the eve of the presidential inauguration in January, she found herself considering both what the culinary component of Philadelphia Assembled would look like and how she might cook to nurture herself and others in the year ahead. 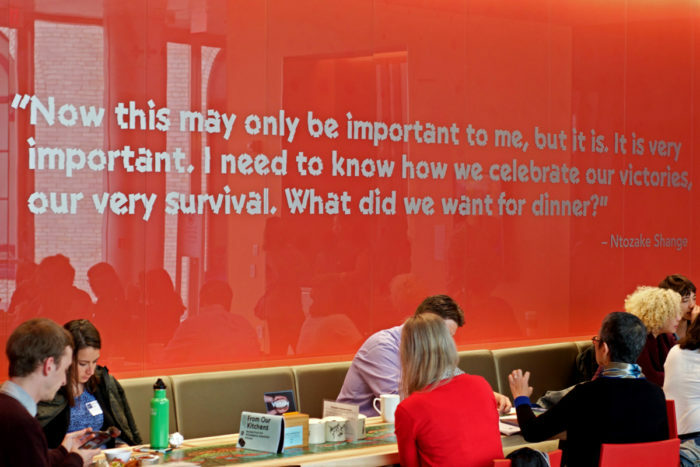 That quote—now emblazoned on the café’s wall—guided Boucicaut and Schwab as the culinary artists shaped the project. Among the project collaborators are Ride and Rebuild, which provides rides from Philly to prisons across Pennsylvania to keep families with incarcerated members intact, and the urban farmers reclaiming patches of land in neighborhoods that, overlooked for decades, are now the site of rapid development. 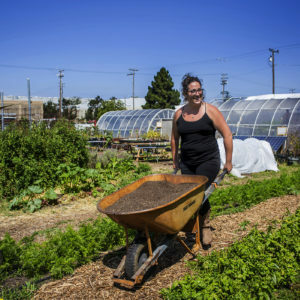 Philadelphia Urban Creators partnered with multigenerational landowners in North Philadelphia in 2010 to form Life Do Grow, a community resource and innovation center and thriving urban farm on the two-acre site of a former box factory turned garbage dump. The duo reached out through their networks, seeking cooks and storytellers to participate in the project. Out of 40 applicants, 12 were chosen to participate, including women, entrepreneurs of color, and non-binary folk. They brainstormed ingredients and dishes, building “kitchen altars” of significant items—a treasured wooden spoon, a special ingredient—at each meeting. Soon, three menus were set, themed around Survival, Resistance, and Victory. The cooks would work with W/N W/N, a cooperatively owned restaurant nearby, as a prep space. The Experimental Farm Network, a global seed-saving project based in South Jersey, planted the café’s courtyard with crops like Sudanese coral sorghum, a Syrian tomato variety sourced from a long-neglected USDA seed bank, and Wiling’s Barbados hot peppers, used by African-American cooks in the south and mid-Atlantic in the 19th Century. 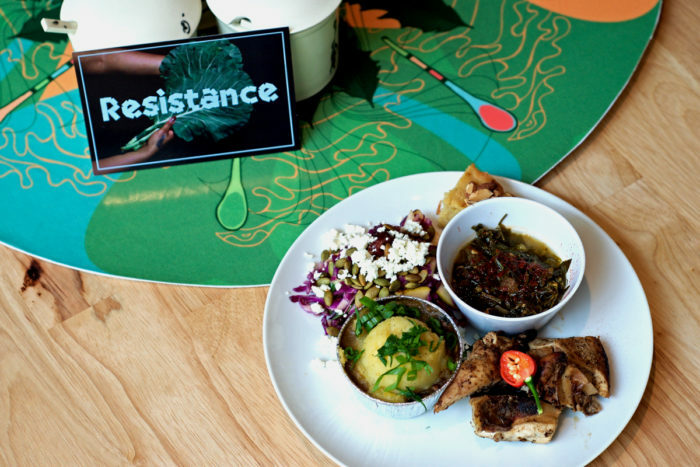 The Survival menu included dishes from Lao, African, and African-American cuisine; for the Resistance menu, Schwab’s German grandmother inspired a crisp apple-cabbage slaw and free-rage, halal jerk chicken. The Victory menu includes Shiktay moru—a Haitian salad of salt cod, onions, peppers, and herbs contributed by Boucicaut—a recipe so close to her heart that it was served at her wedding. Philadelphia Assembled will run through December 10. But van Heeswijk, the museum, and the artists are now in conversation, discussing how the relationships and infrastructure they’ve created between the museum, the creators, and the city can be sustained. “We dream of pop-up meals similar to Philadelphia Assembled Kitchen that spur conversation and unite people, affordable and nourishing delivered meals that feed our freedom fighters, [and] fundraisers that keep our POC-led organizations thriving,” says Schwab. Photos courtesy of Alex Jones.